Arunachal Pradesh :- By far India's most pristine state, Arunachal Pradesh is as naturally diversified as it is tribally varied making it a magnificent Garden of Eden in a rugged landscape of the industrial development. It is also the part of India's seven north eastern states with the lowest inhabitation. Being the nature lover, I was bewitched with the diversed wildlife delighted spotting the hornbill bird and the graceful but subtle striped yellow tiger, among the host of other species of animals. Untouched by the ill effects of the industrial over development, it is one of the most popular ecological regions of India, its unique tribal culture, exquisite scenic beauty, vibrant craft tradition and fascinating spectrum of unique flora and fauna. Most of the region in Arunachal Pradesh is covered with forests, varying from subtropical jungles to the alpine at the foot of the Himalayas, turbulent streams passing the dense greenery of rain forests and swiftly flowing crystal blue valleys and meandering rivers make the most of it. Sikkim : Sikkim is a dreamland in the blossom of fascinating eastern Himalayas with its ever expansive natural beauty and magnificent tableau. The Shangrila, the Mt. Kanchenjunga makes Sikkim a fascinating land representing a intermixture of Buddhism. Reaching its capital, Gangtok, is altogether a different experience. 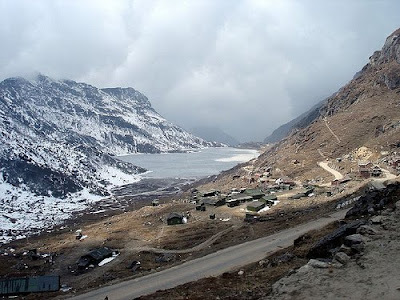 Gangtok is definitely very scenic and adventurously tantalizing. It offers you adventure of white water rafting on the fast flowing river Teesta. The city offers some of the excellent trekking destinations and opportunity for mountain biking through the dense forests of rhododendron. Assam : Considered as the most prosperous region of north east India, it is also the country's foremost producer of tea – producing half of the Indian tea. Staggeringly large tracts of the mountain side have been cultivated for the tea, employing inundation of workers, both men and women. I was extremely delighted to see the sight of tea pickers extracting tea leaves from the splendid tea gardens. The highlight of the state of Assam is the mighty Brahmaputra river which is considered as the main source of prosperity both agriculturally as well as industrially as it it flows through creating some very fascinating views in its path. While in Assam, make a visit to the renowned Kaziranga National Park popular for the species of one horned rhinos. Take a excursion trip to the famous Majuli island, which is the world's largest inhabited island and the essential center for the Vaishnava culture which holds special importance in the heart of Assamese.